The model paper for Rajasthan Board Class 10th Hindi subject is available here. 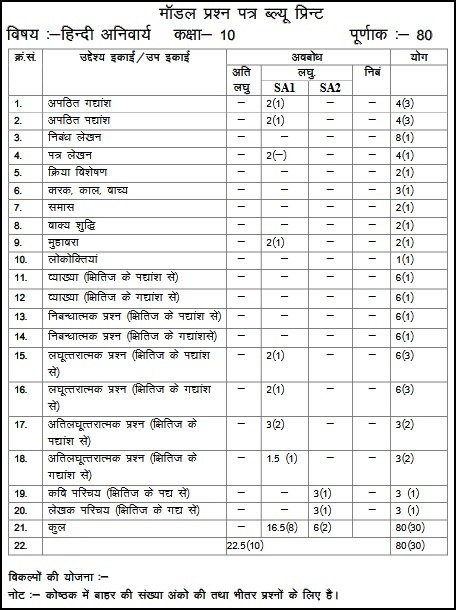 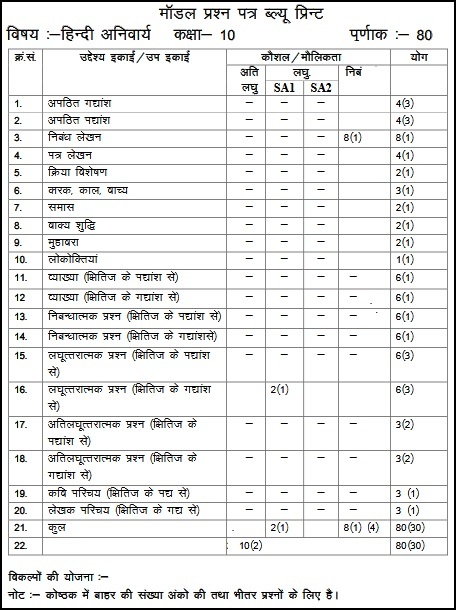 Students studying in Class 10th of Board of Secondary Education, Rajasthan (BSER) can also get the paper pattern, evaluation scheme, unit-wise marks distribution and blueprint are provided here in detail. 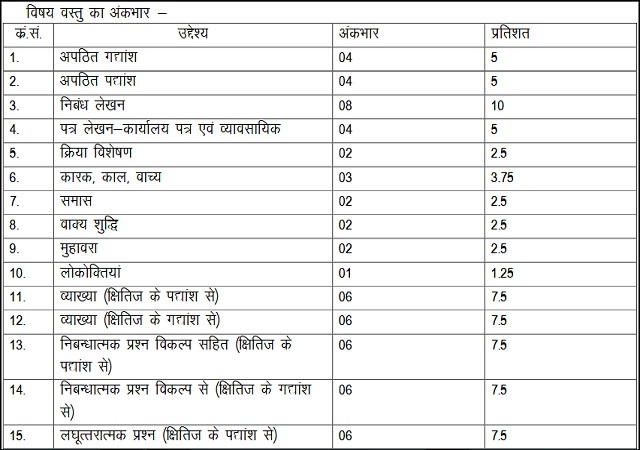 The BSER Class 10th Hindi subject has been allotted 100 marks which carry 80 marks for Theory paper and 20 internal marks for semester. 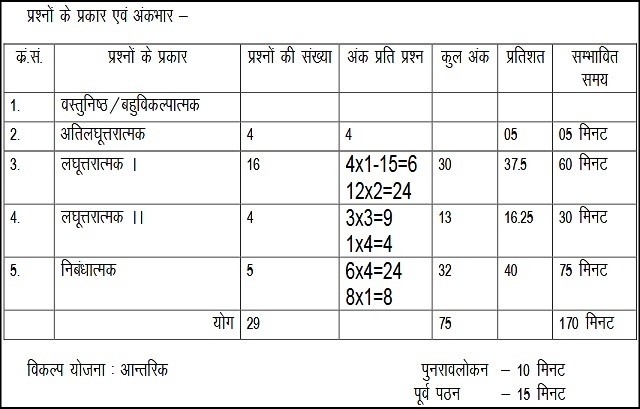 Check here all about Rajasthan Board Class 10th Hindi question paper and also download the model paper with answer key as provided in this page below.